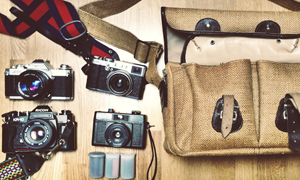 Todays bag is a real adventurers bag. 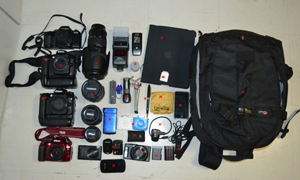 Jake gets this lot on his back and hauls it around the wilderness looking for those perfect landscape shots. Come and check this lot out. My name is Jake Horn and I’m a mechanical engineer living in Nashville, Tennessee. I have an insatiable passion for landscape photography (preferably shot on film). I submitted my walk around bag last year, but this time, I’d like to share my hiking kit from my recent trip to Great Basin National Park. In addition to my camera equipment, I had three nights worth of camping gear, food, and clothes. 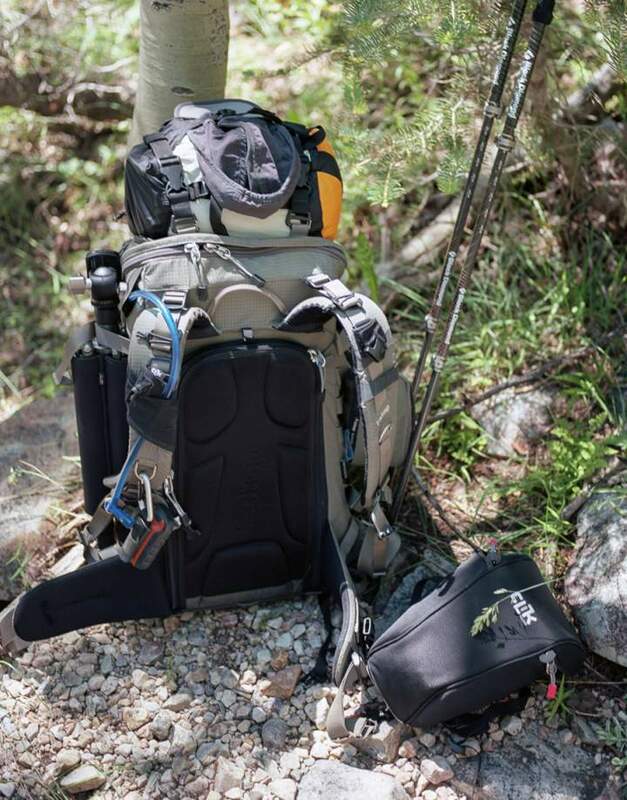 F Stop Gear Satori EXP – For travel and day hikes, I use the large ICU. For backpacking, I use the medium shallow ICU with a chest pack. The medium shallow also fits into the Domke-808 like a glove! Pentax 645Nii: Not much to say other than it’s a near perfect camera for outdoor photography. Pentax 645 35mm F3.5 A: New addition to the starting line-up. Pentax 645 75mm F2.8 FA: A great all-purpose lens on the 645. Always with me on hiking trips. Leica M-A: An outstanding second, light weight body. Also, my first M camera. MS Optics Apoqualia 35mm 1.4 F MC: Lens handled itself brilliantly on the trip. So far the scans are turning out pretty good. 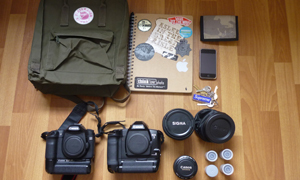 EPM Yosemite Camera Strap: Doesn’t mind getting rolled up into a backpack. Gitzo GT1542T with a Really Right Stuff BH-30 head. RRS plates for both cameras. Various grad filters and a 105mm Singh-Ray Polarizer for my Lee filter holder. Plenty of Ektar and Portra 400. I also took a roll of Fuji Provia 400x for the stunning night skies in Great Basin. Happened to be a new moon on one of our nights in the backcountry, so I decided to push a roll to 1600. Please check out my work at jakehornphotography.com. Thanks for sharing your bag with us, Jake. 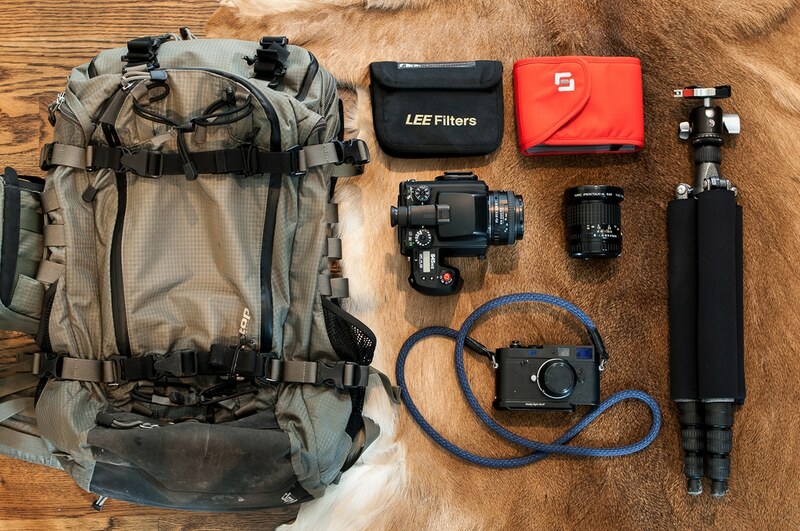 It must be a great deal of fun hiking backcountry, especially with this setup. Been following Jake’s work stuff on instagram for a while and I’m always blown away! 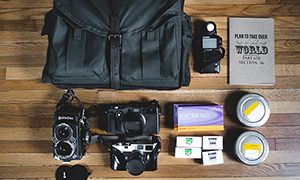 Really interesting minimalist yet rugged setup – the landscape colours you capture on film are truly inspiring.